This article helps you to learn what is Logic Apps and how to create a Automated workflow. Logic App is a cloud-based service. 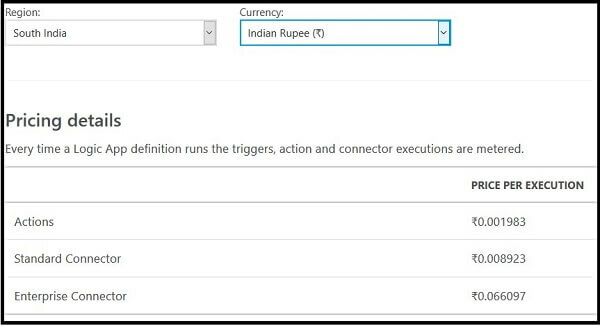 It allows to react to an event in one service (such as SharePoint online) and do something with the data from that event into another one Service (such as Twitter). It makes it practical and simple for line-of-business. The users to build workflows that automatically do some business tasks and processes across applications and services. Logic App is a cloud-based service. 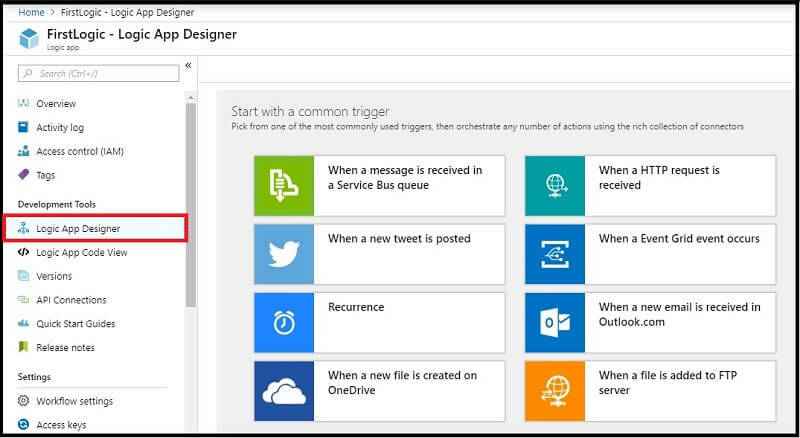 It allows us to react to an event in one service (such as SharePoint online) and do something with the data from that event into another one Service (such as Twitter). It makes it practical and simple for line-of-business. The users build workflows that automatically do some business tasks and processes across applications and services. 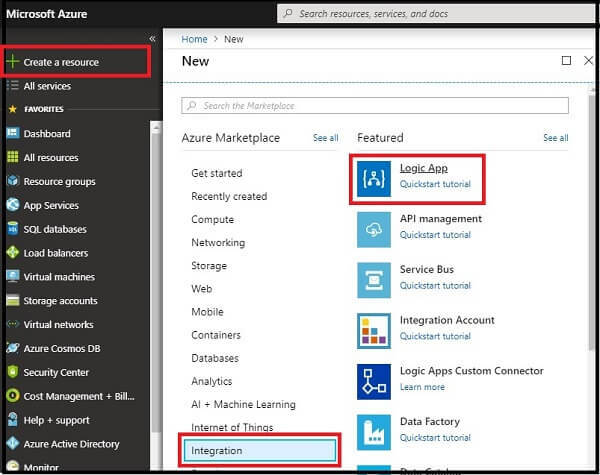 We can connect our business-critical apps and services with Azure Logic Apps, automating your workflows without writing a single line of code. Why we use Logic Apps? Logic Apps is very simple to create and use. It doesn't require deep technical knowledge or programming skills. As our businesses are moving toward digitization, logic apps help you connect legacy, modern, and cutting-edge systems more easily and quickly. So we focus on your app's business logic and functionality. So you need not worry about building, hosting, scaling, managing, maintaining, and monitoring your apps. It handles these concerns for you. And, you pay only for what you use. The processes of building workflows based on certain connectors, triggers and actions. The template contains the basic building blocks of a flow. Each flow contains a combination of triggers, actions, conditions, and loops. Triggers are events that start a flow. Actions are tasks accomplished by the flow. Controls allow for branching statements that apply logic in a flow. Loops are for iterating over actions more than once. Every flow starts with a trigger. To create a flow, the user specifies what action should take place when a specific event occurs. 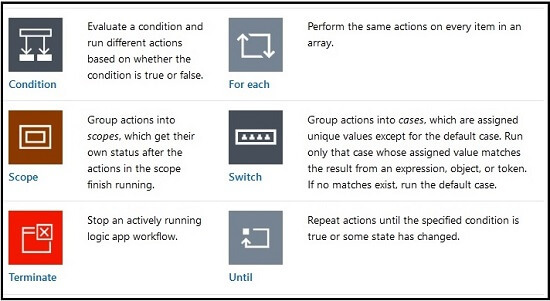 Connectors play an integral part when you create automated workflows with Azure Logic Apps. Totally it contains 200+ Connectors. Connectors are organized into built-ins and managed connectors. 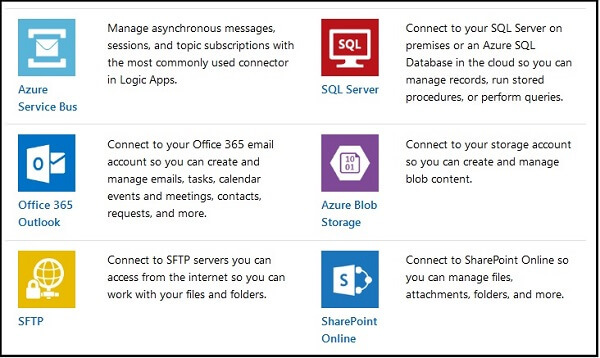 Here are the some popular connectors for automating tasks, processes, and workflows. If the events happen, the trigger creates and runs an instance of your logic app. These triggers poll your service at a specified frequency and checks for new data. 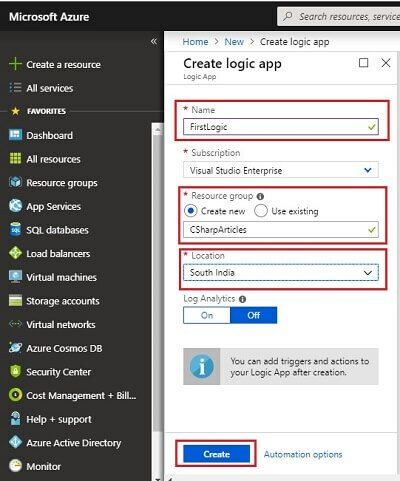 When new data is available, a new instance of your logic app gets created and runs with the data that's passed in as input. 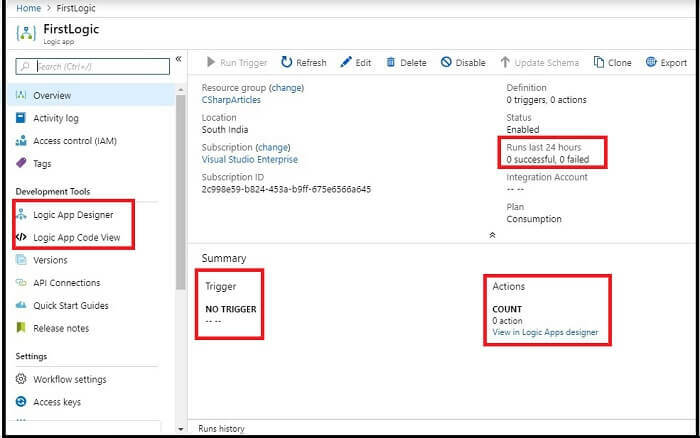 These triggers listen for new data at an endpoint or for an event to happen, which creates and runs a new instance of your logic app. Microsoft Flow can be used by anyone who needs the automated workflows. It can be widely used by all sectors like industry, corporations, organizations, enterprises, etc.. It's very simple to create and use. It doesn't require deep technical knowledge or programming skills. So, everyone can very easily create the Logic App. It’s the line-of-business in the enterprise organizations. The most common use of Flow is to trigger notifications, such as when your boss sends an important mail and it creates the automated workflow that can send the immediate notification to you. Logic App can also be used to copy files. For example, when a new file is added to OneDrive or Dropbox, an automated workflow can instantly post a copy of the file to SharePoint also. 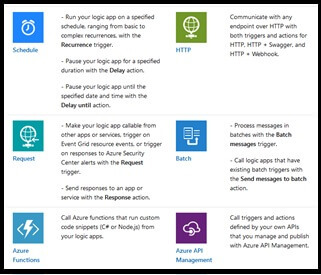 Given below is the pricing of Azure Logic Apps. Consider South India Region & Indian Rupee, the currency. You can start building logic apps without writing a single line of code. Follow the below steps to build a Flow using template. Now we have the logic app overview. Here we can see the number of successful and failed runs. Then we can see the number of triggers and actions. To design the Logic App, either we use Logic App Designer or logic App Code view. This was all about introduction to Logic App. In the next article we will see the logic app with interesting examples. Stay tuned for more Logic App articles.